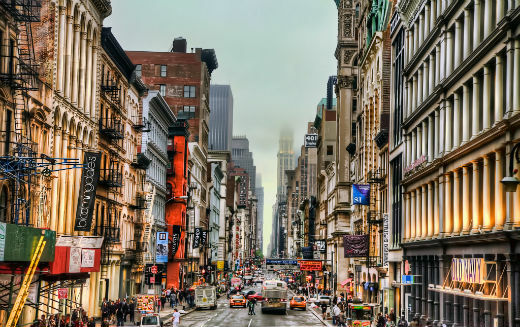 Shopping in New York City can be a lot of things, but the first word that comes to mind is "overwhelming." If dodging camera-toting tourists, waiting in fitting room lines long enough to make it through your entire Instagram feed, and battling techno music-induced headaches (down with the trendy department store DJs), this round-up is for you. It can be tough to pull out the gems among the "quantity over quality" global retailers that seem to be on every corner of the city. 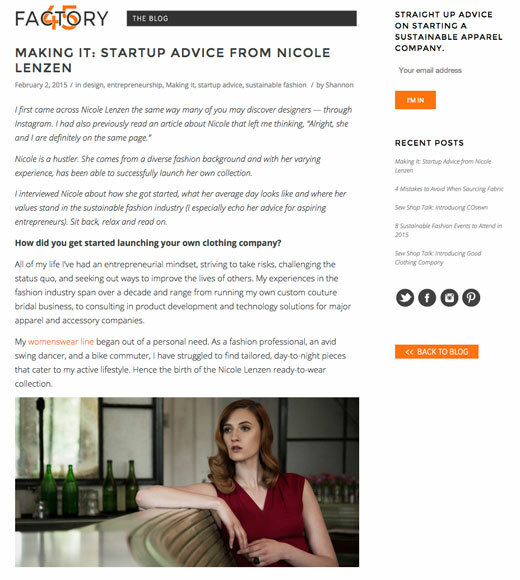 Nicole Lenzen (who confesses to not really enjoy shopping in most cases) has a few go-to spots for low-key browsing of timeless wardrobe essentials and quality designs that will last for years to come—if you give them the care they need. Give our NYC shopping guide a read and start planning that buying spree. If you couldn't tell, we're really into the idea of clothes having a story behind them. Eva Gentry does consignment like no one else. All of the pieces comes from tried-and-true names (think McQueen, Margiela, Band of Outsiders, Helmut Lang, Proenza Schouler) guaranteeing that you're going home with a piece that's sure to impress. Nicole's recommendation: Eva Gentry definitely has a knack for retail buying. I came across her stores in Boerum Hill by first wandering into her high-fashion boutique (killer avant-garde aesthetic leaning very Antwerp-Six). Then I discovered her consignment shop down the street (which now appears to be her sole business focus), with an amazing collection of designer pieces in impeccable condition, across a wider style spectrum. 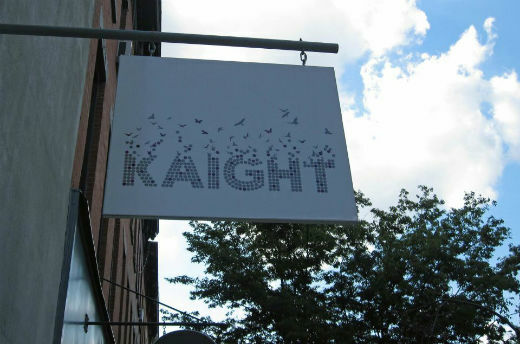 Stop into Kaight for a taste of Brooklyn designers, and stories behind the brands. All of the pieces in the store (womenswear, accessories, and gifts) are made sustainability and/or are locally produced. 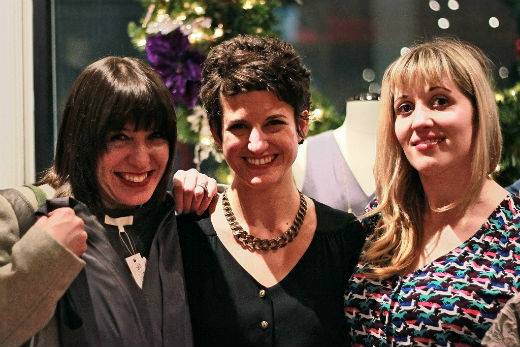 The shop was recently named Best NYC Sustainable Fashion Boutique by Ecocult. 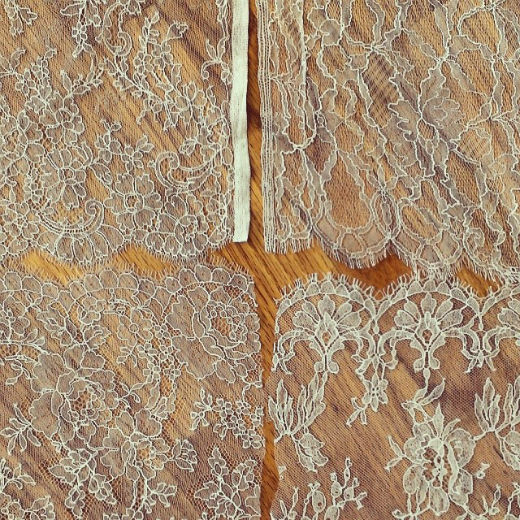 There's a lot more to lace than its ability to add a feminine flair to any outfit it graces. Looking back, the fabric has hand a place in most fashion trends through the ages—from the overwhelming lace ruffles Queen Elizabeth would don in the 16th century to the "Below The Knee" dresses flappers so often turned to. For the custom evening and bridal gowns Nicole has created, she favors the exquisite laces made on traditional Leavers looms in France. But there's equally a place for modern-day stretch lace, and we also love the subtle sophistication and function it brings to our Evelyn Dress. 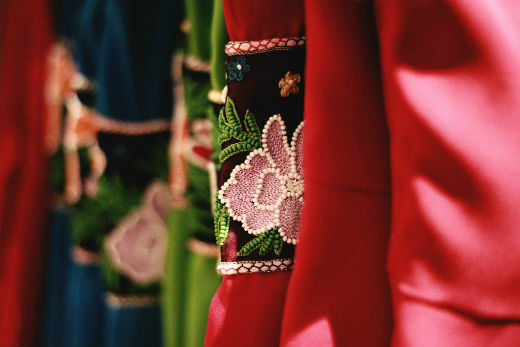 With so many delicate designs and patterns, it's hard to imagine the making-of being anything short of painstaking (and to call it "involved" would be an understatement). So, in our effort to bring everyone closer to the clothing they love, we're digging into a few highlights in the history of process of this elegant textile. Read on and learn. 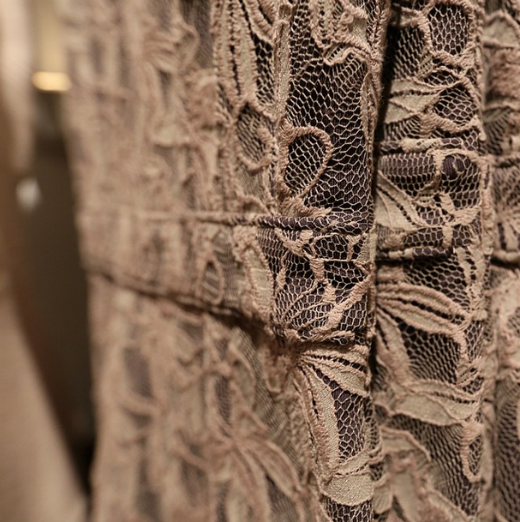 In the 17th century, lace was even used to decorate door knobs. Years later, "his and hers" lace collars would become all the rage. Today, the textile plays a much more strategic role in fashion—one that can put a design over-the-top or impress with its subtlety, depending on how it's incorporated. There's a lot to take in when it comes to the history of the fabric, but here are five things you probably didn't know before reading this. Lace helped people survive Ireland's Potato Famine. Once food became scarce, the women of Ireland created schools to teach crocheting and lace-making. The founders of the schools even assisted their students in selling their creations—helping them survive a time when money and food was hard to come by. It doesn't get much better than a night of dress-up accompanied by two hysterical—and touching—story sessions from two empowering ladies, wine, delicious finger foods, and good company. 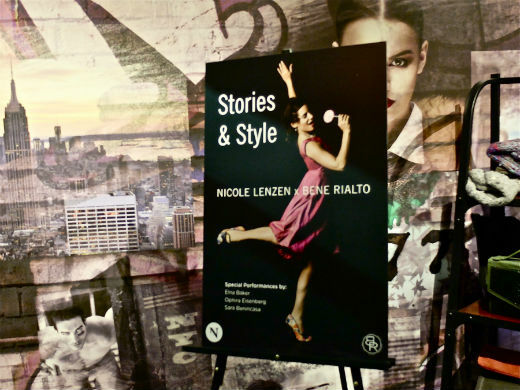 The Nicole Lenzen team had a great time at Stories & Style and can't thank you enough for making it such a successful event. Hopefully, you've seen the photos, and maybe even found yourself in a few! (Feel free to tag and share them with your friends—you know you looked fabulous.) If you didn't make it out to the event or missed our pre-event Twitter chat, you're in luck. While social media is great for, say, sharing photos of your favorite outfits and ultra-artsy landscape shots, it's also wonderful for catching up on events you may have missed out on. We pulled together the Twitter and Instagram highlights from the #StoriesAndStyle event and conversations for your browsing pleasure. Take a break from whatever you're doing and spend a few minutes re-visiting #StoriesAndStyle—don't forget to keep sharing your style stories and shots. We'd love to see them! If that's not a worthy motto to live by, we don't know what is. 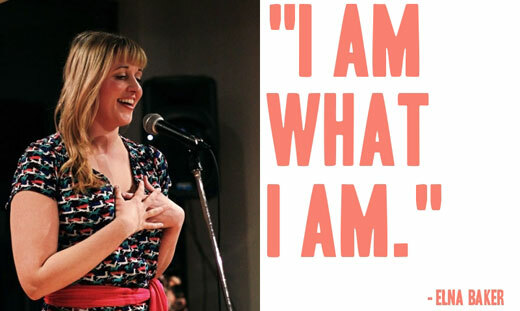 It's shared pieces of wisdom like this that made the Stories & Style event at Bene Rialto a complete success. The night was anchored by two storytelling sessions from two extremely empowering women—thanks to Ophira Eisenberg and Elna Baker for providing the laughs and all of the feels—and only made better by wonderful company and some wine-fueled dress-up. We've got photo proof of all of the beautiful faces that came by and shared the night with us. Keep following along for a few of our favorite shots, but make sure to check all of our photographs on Facebook. Tag yourself, tag your friends, tag all of the fashionistas in your life! And if you didn't get a chance to try on your favorite piece, head back on over to Bene Rialto to find the perfect Valentine's Day outfit—we hear a little red dress is the quickest way to your sweetie's heart.